Summer is here, and it's time to dive into your favorite warm weather activities. 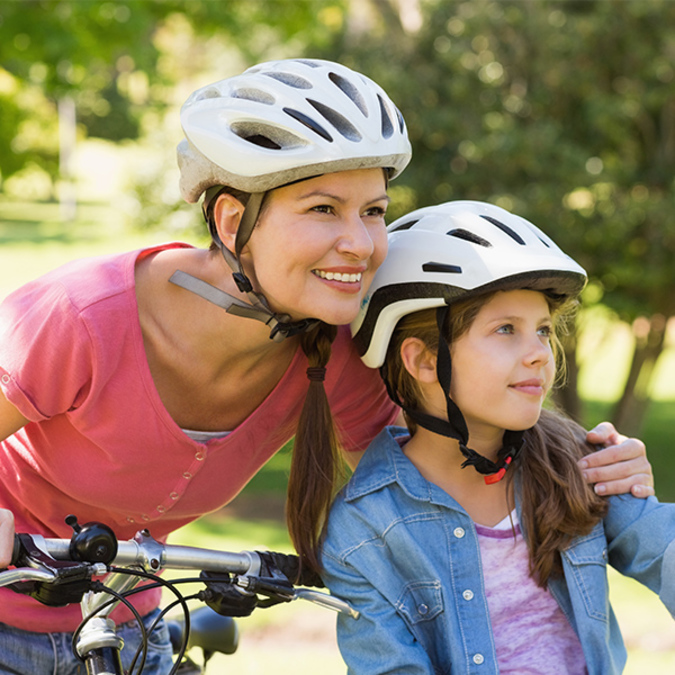 If you don't want one of those activities to include a trip to the emergency room, take note of these important safety tips that will help protect you and your family while you're outside having fun. Summer is a prime time for road construction, which equates to more obstacles than usual on the road. Besides following posted speed limits and paying attention to construction signs, minimize distractions when driving through construction zones, including adjusting ventilation controls, changing the radio station or eating. The Federal Highway Administration suggests keeping your headlights on, watching for brake lights ahead, maintaining a safe stopping distance between you and the next car, avoiding making last minute decisions and expecting other drivers to make sudden lane change decisions. Summer is the perfect time for motorcycle touring. The last thing you want is to miss out on some great weekend rides by being stuck in a hospital bed. Rideapart.com says the best thing a motorcyclist can do to ensure their summer road safety is to "develop a precognitive sixth sense." You can't rely on other drivers to keep you safe. You'll need to keep an eye on them and yourself. "Yes, you do need to take something as innocuous as a car waiting in a turn lane as a major and immediate threat to your life," writes rideapart.com writer Wes Siler. "Slow down, cover your brakes and get ready to take evasive action." It isn’t enough to wear a helmet and ride in a bicycle lane. Bicyclesafe.com explains there's a lot more cyclists can do to prevent collisions and injuries while enjoying a summertime ride. For example, a headlight will make you visible to oncoming motorists, even in daylight hours. You should also make eye contact with drivers when you're about to cross an intersection, even if you have the right of way. If you can't gain eye contact and are not sure the driver has seen you, it's better to wait than risk a crash. Adding a handlebar mirror to your bike can also help you spot a potential collision before it happens to you. Whether driving a long distance or across town, only get behind the wheel if you're awake enough to drive safely. The Sleep Foundation says if you find yourself blinking more than usual, you drift frequently from your lane, or you miss exit and traffic signs, you may be too tired to drive safely. To help improve alertness, avoid driving between midnight and 6 a.m. when drowsiness is at its peak. Switch drivers every two hours and nap when it's not your turn to drive. If you get tired, pull over in a safe location and take a 20 minute (or longer) nap. Leave for your destination with plenty of time to spare, so you can take breaks as needed without feeling rushed. Even if you're running behind, keep in mind it's better to get to your destination safely and late than not at all.